I have received sample of Cetaphil cleansing lotion and moisturizing lotion in one of my fabbag long back. And I have decided to use them after a long time. I have finished using both the samples and I’m here with the reviews on them. 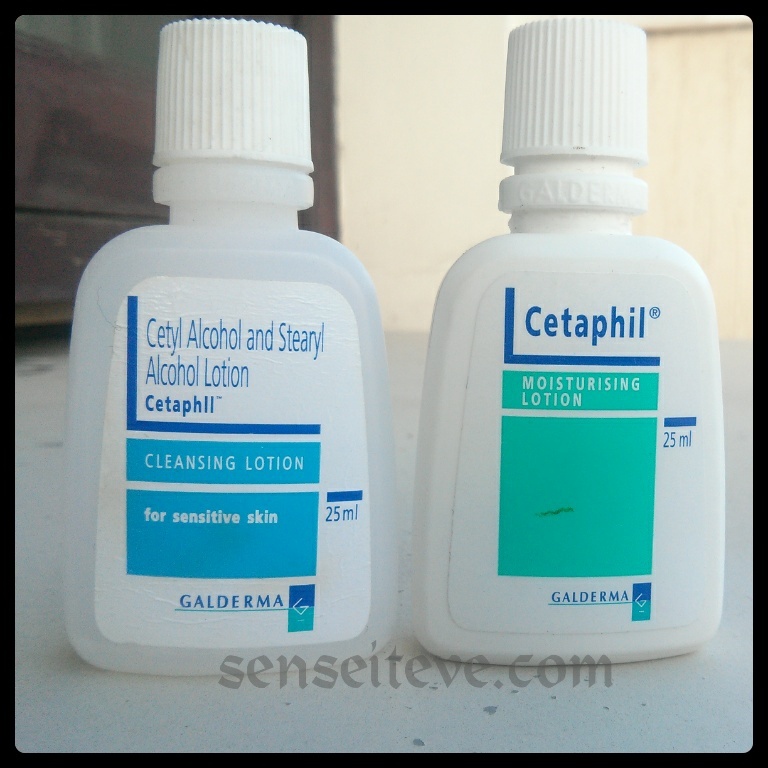 Cetaphil cleansing lotion and moisturizing lotion both come in similar kinda packaging which is in white colored bottle with blue and turquoise fonts and prints. The packaging is simple no-nonsense type and gives medicated look to it which I don’t like (I like my facewash to look colourful 😛 ). Full-size product comes with a pump which makes it non-travel-friendly. Moisturizing lotion bottle is opaque so you don’t get the idea about how much product is left and cleansing lotion bottle is semi-opaque so overall I’m not impressed with the packaging. Texture of cleansing lotion is gel-like while moisturizing lotion is quite thick for a lotion and more like a cream. Both have a mild fragrance similar to custard-apple (or may be it seems like it to me 😀 ) which doesn’t linger for long. Cleansing lotion doesn’t seem to have list of full ingredients on the bottle. They have mentioned only Cetyl alcohol IP and stearyl alcohol IP in lotion base (They didn’t mention what all is there in lotion base). 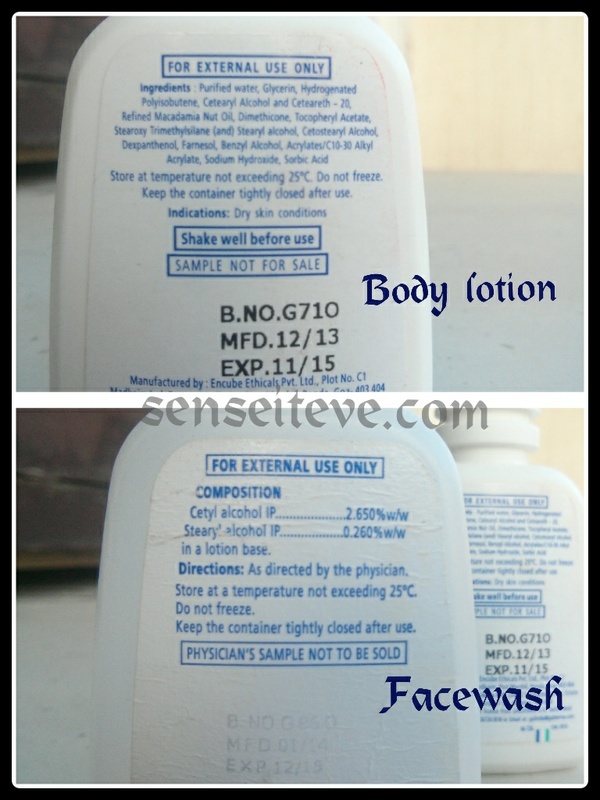 While moisturizing lotion bottle has detailed list of ingredients on the bottle itself. I have used the product in every possible way. So read on to know how it fared in which condition. First day I have used it on my face with nothing but only moisturiser on, and it cleaned my face really well and was very mild on skin. I was pleased with the result. Second day I have used it on my face with my bb-cream and compact on. It cleaned the face well and removed the makeup but the amount required was a little more and I had to wash my face twice to get squeaky clean feeling. It doesn’t remove your kajal or lipstick. Third day I have removed my kajal with baby oil using cotton and then used the cetaphil cleansing lotion to wash my face and here came the disappointment. Despite washing my face 3 times with it, it was not able to remove the left-ver oil from my face and then finally I had to use my regular facewash to wash my face. Very mild on skin. Perfect morning cleanser. Doesn’t break-out my sensitive combination skin. It is a must-have product if you have irritated and severe acne problem. Love the mild custard-apple fragrance. Doesn’t remove any oily residue from face. Feels very heavy on skin. Irritated my skin a bit. Made my skin sweat within 5 mins. So this was my experience with Cetaphil Cleansing lotion and moisturising lotion. 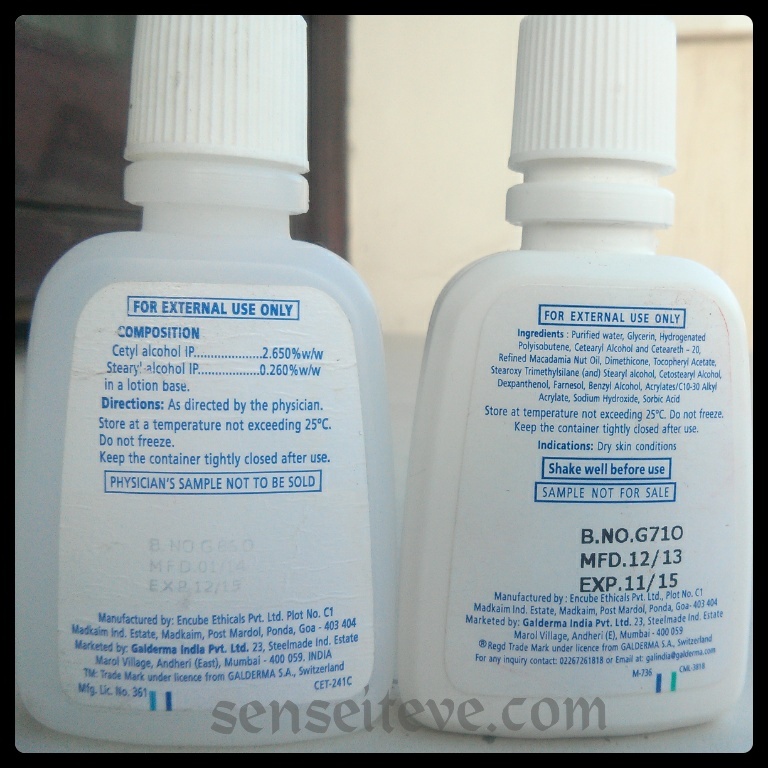 Have you used any of these 2? Have you liked it? Do share your comments and experiences in comment section. Hello Anubhuti, I am sorry that this product gave you pimples and did not like it over all. I already stopped experimenting on skin care because I had cystic acne last summer. Now I am sticking to the products that my dermatologist recommended and they’re doing the good job so far. Anyway, get well soon!!!!! I have used the cleansing lotion and loved it and since moisturising lotion broke you out I will for sure skip it. Have used the cleanser in the past and liked it. The moisturizer was also on my mind for a try but now after reading your review m really happy I did not try!! Helpful mini review Anubhuti. ouch. I expected this work better on u.
Lisha@HeartBowsMakeup recently posted…OOTD: Suit Up! i have only used the cleanser and really liked it. Ellesees.blogspot.com recently posted…My Sandestin Trip! sindhu recently posted…Breaking the Starbucks Virginity! – Phoenix Market City, Chennai. Nice products! Thanks for sharing them. 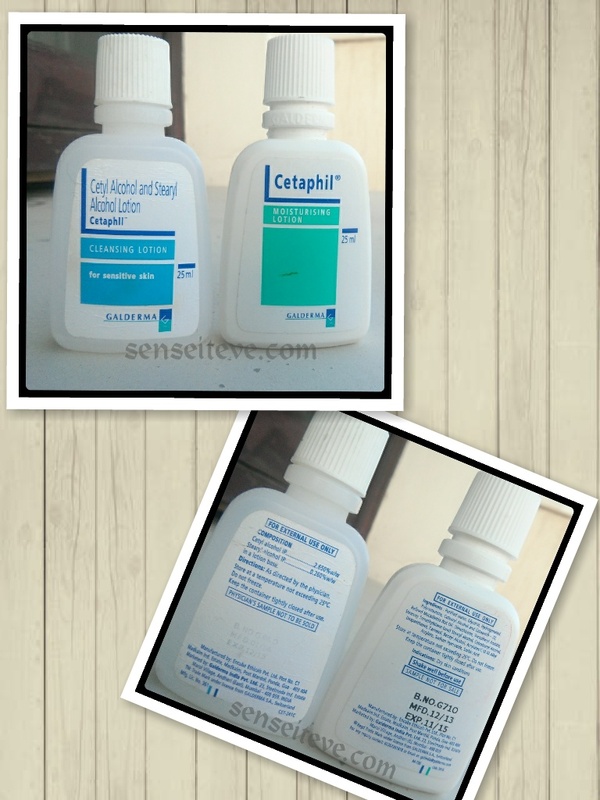 I love cetaphil products, their results are great, lovely reviews Anu..
Nice review. Cetaphil products in general never really end up working for me.